Released on: May 19th, 2015. When Mario Bava’s 1963 black and white thriller, Evil Eye (also known as The Girl Who Knew Too Much), begins a mystery novel fanatic named Nora Davis (Leticia Roman) hops on a plane to Rome where the man sitting next to her offers her a cigarette. She accepts, not realizing it's laced with marijuana until the man is arrested. When she gets off of her plane and heads into the city, she witnesses a brutal murder, which she immediately reports to the local police. They look at her like she's off her rocker, as the events she describes to them match perfectly a killing that happened exactly a decade ago. Being a mystery novel buff, she takes it upon herself to solve the mystery seeing as the police don't intend to do much, brushing her off and figuring her for a lunatic. Borrowing rather heavily from the Hitchcockian style, The Girl Who Knew Too Much is a playful and early giallo (Anchor Bay's packaging for the DVD that was released in their Mario Bava Collection Volume One boxed set claimed that the film is technically the first one!) that periodically stumbles over some unnecessary sight gags and strangely placed bits of comedy. 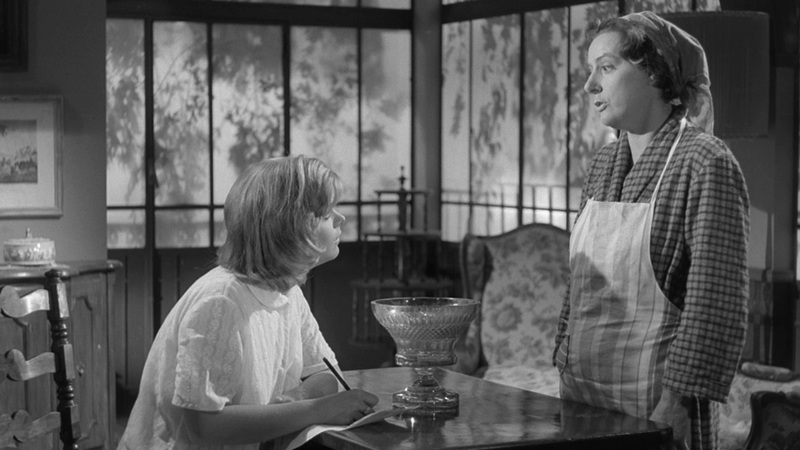 These aren't so frequent as to ruin the film but they are a little jarring when set opposite darker moments that play out in the hospital or in the morgue. Because of this, the film suffers from some tonal shifts that some might find a bit off putting but if you’re in the right frame of mind for it and don’t need your suspense films to be one hundred percent serious one hundred percent of the time, this is a pretty charming and interesting film. 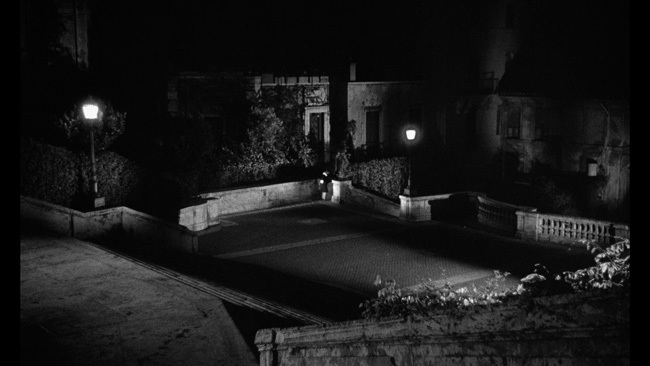 Bava puts his camera in truly strange places here, giving the film a very quirky feel that would be imitated throughout the genre's run but rarely done with such masterful style as we see here and in Bava's other giallos (such as Blood And Black Lace). The cinematography really helps to create some interesting atmosphere and the unorthodox camera angles keep things interesting to look at. 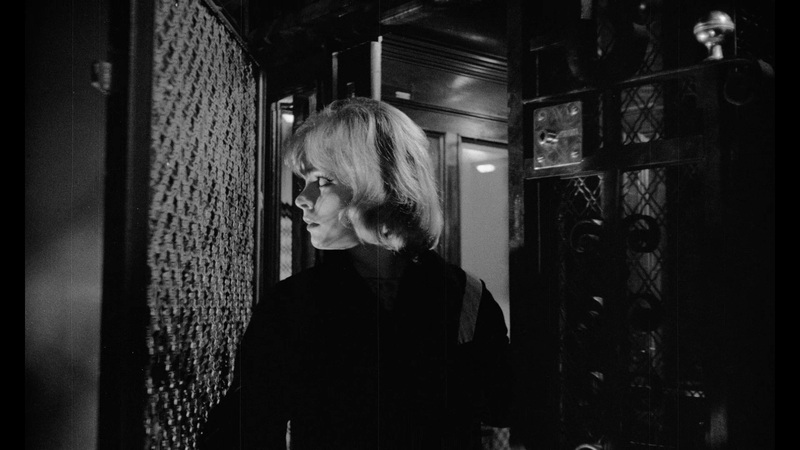 The film also makes nice use of some eerie, shadowy interiors and employing some nice moments of contrast to further build tension. In addition to the insane amount of style that Bava infuses into the film, we're treated to some fun performances from pretty Leticia Roman and particularly from a very young and completely charming John Saxon. Roman is quite the beauty here, playing her role very well and doing a fine job portraying her character in just the right way so as to keep her interesting. We want to know more about this woman as the story plays out. Saxon is as cool here as he’s ever been, bringing a little bit of cockiness to the part to nice effect and the two make an interesting team here. 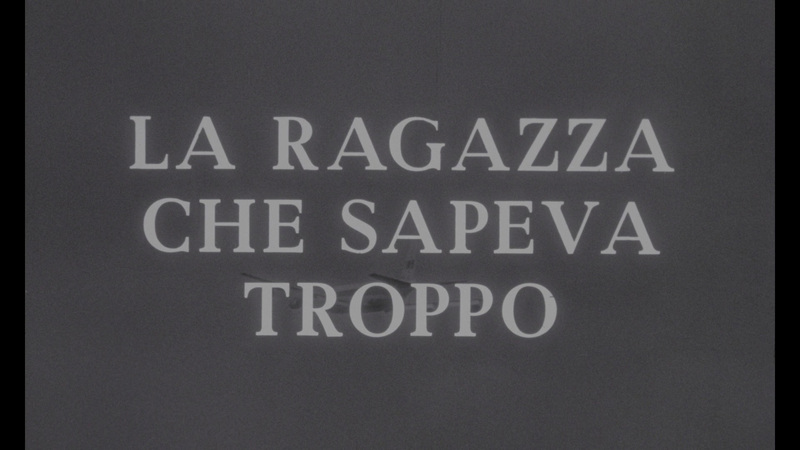 The only version of the movie that was included in the boxed set release was the Italian language version as The Girl Who Knew Too Much. Much like with Black Sabbath, AIP distributed their own cut of this picture in North America under the alternate title of The Evil Eye. As with many Italian genre films made with the export market in mind, it was dubbed in post-production but it's obvious that at least Saxon if not other cast members are speaking English in front of the camera, which leads to some dubbing/synch issues in the Italian version that might not have been as obvious in its English version. 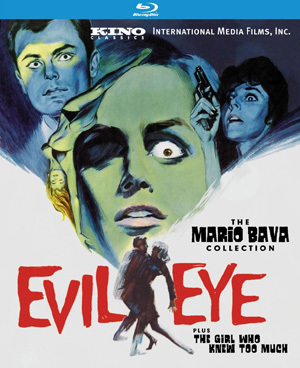 Kino’s new Blu-ray release contains both versions of the movie, the Evil Eye version running 1:32:36 compared to the shorter Italian cut at 1:25:48. 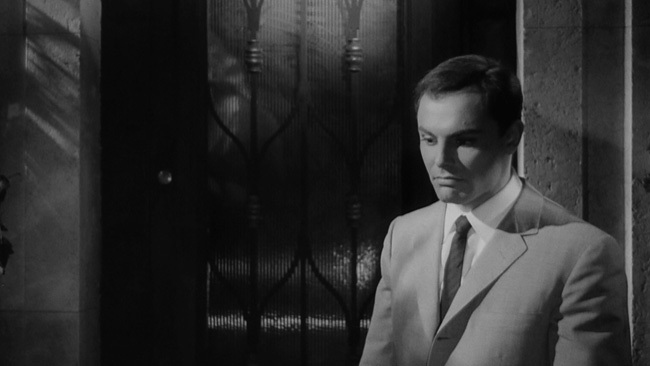 The scores are different as well, with Roberto Nicolosi having handled things for the Italian with Les Baxter doing his typically fine job on the US cut. The Evil Eye is framed at 1.78.1 widescreen, and The Girl Who Knew Too much at 1.66.1 widescreen. 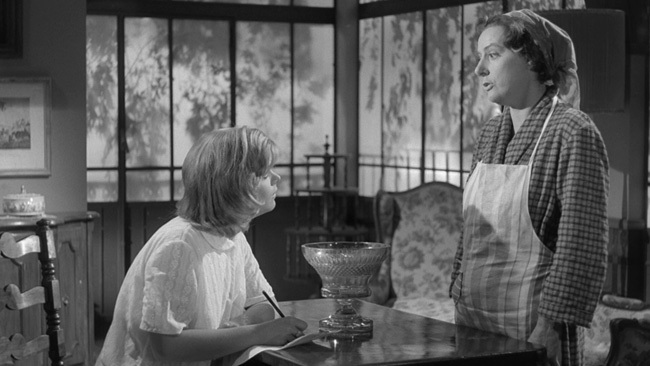 Both black and white transfers are in AVC encoded 1080p high definition and they generally look quite good. A bit of minor print damage does show up now and then but for the most part both versions of the movie are clean, nicely detailed and exhibit very good contrast. 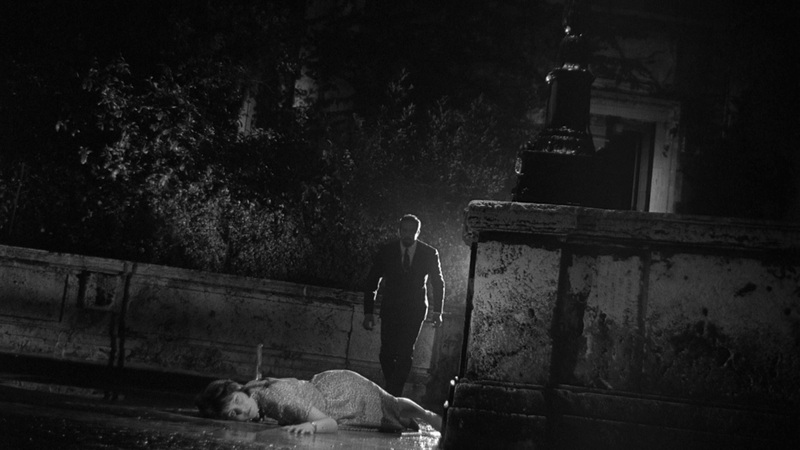 Black levels are nice and strong while detail, depth and texture all easily surpass the DVD release from years back. There are no problems with any compression issues (thankfully Kino have used a 50GB disc for this release) nor are there any instances of obvious noise reduction or edge enhancement to note. The Italian cut is a little bit darker than its US counterpart, a noticeably bit grainier too, but for the most part they share the same positive points and both shape up quite nicely in HD. Both films get LPCM Mono options, The Evil Eye in English with no alternate language or subtitle options and The Girl Who Knew Too Much in Italian with optional English subtitles only. The high end on the Italian version gets a little hot in spots but otherwise both movies offer clean, clear audio and properly balanced levels with more depth than DVD could provide. The main extra on the disc is an audio commentary by Tim Lucas that first appeared on the aforementioned Anchor Bay DVD. Lucas details the film's build up nicely and also explains the importance of the film in the giallo cycle. 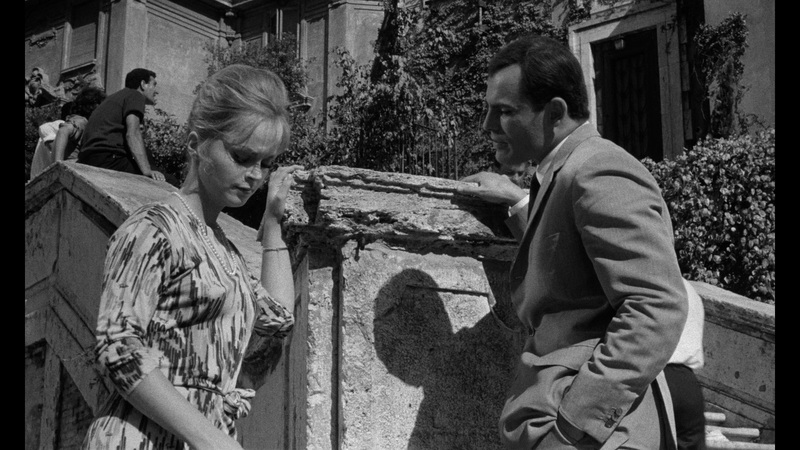 He points out certain location shots that capture the Rome of the sixties and covers the casting details, even pointing out bit players like who played one of the vice cops. He covers some of the differences between the Italian version and the AIP version, which is quite helpful, and talks about the goofier comedic aspects of Saxon's role in the movie. Lucas also talks about how some of the actresses described the director as grumpy and he details the unusual relationship that existed between Bava and Saxon. There's a little more dead air here than in the other two discussions but this is still a wealth of information and an interesting dissection of an important film in Bava's career. Rounding out the extra are a trailer under the Evil Eye title, a trailer under the Girl Who Knew Too Much trailer, static menus and chapter selection. Arrow’s release in the UK had some additional/alternate extras not carried over to this domestic release. Kino’s Blu-ray release of Evil Eye/The Girl Who Knew Too Much may not be as packed as the UK release but it’s got the excellent commentary from Tim Lucas on it and it features excellent audio and video quality. 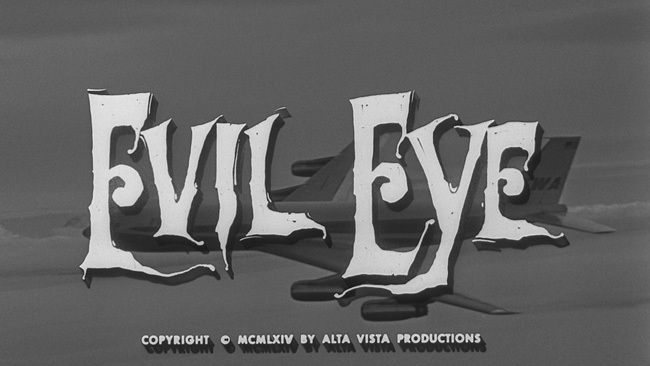 The movie itself isn’t Bava’s best or most interesting film but it has a lot going for it. Saxon makes the most of his leading man role and there are some fine moments of solid suspense. There are a couple of newly recorded minutes near the end the commentary track, not sure if it's on the Arrow also or if it's exclusive to the Kino.I had issues with the English audio track, extremely noisy and distracting. Otherwise a very nice release.